The Triumphant Return of Miss Homemade! When I’m bored or stressed, I bake. It’s not just that I decide “Hey, I’m not doing anything and that sure looks like a good recipe.” No, it’s more like “OMG, I’m SO BORED/STRESSED! MUST! BAKE! YUMMY! TREATS!” I get something in my head to bake, and I can’t get rid of the need until I make it. Like during this winter break, I’ve been doing absolutely nothing, and so I want nothing more than to be able to make something, even though I already made SO much stuff last week and nothing else is needed because I’m still not off that sugar high. But the nagging feeling persists and I can’t get rid of it until I make something. 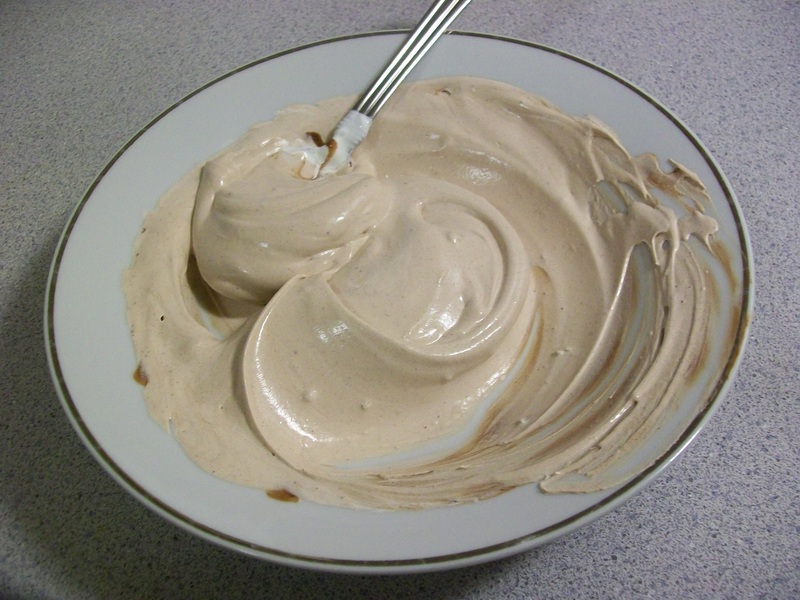 For instance, last night I wanted to make pudding/mousse, but I had no heavy cream or butter, so I couldn’t. I was devastated. Well, maybe not devastated, but I was super annoyed and rather sad. So today that feeling persisted, and while I was reading one of the many baking blogs I frequent, I came upon something so simple that my parents couldn’t possibly refuse it. It was just enough like baking that it would suffice and satisfy my craving for *something*. I thought I had all the ingredients already, so I didn’t check before I started, but it turns out I didn’t. I didn’t have the most crucial thing at the most crucial time, and I thought all was lost. This simplest of simple things I wanted to make was the No Bake Cheesecake recipe I found on Grace’s Sweet Life. I thought it couldn’t get any simpler, because I wouldn’t have to deal with baking and letting the cheesecake sit and hope it wouldn’t crack and disappoint me. 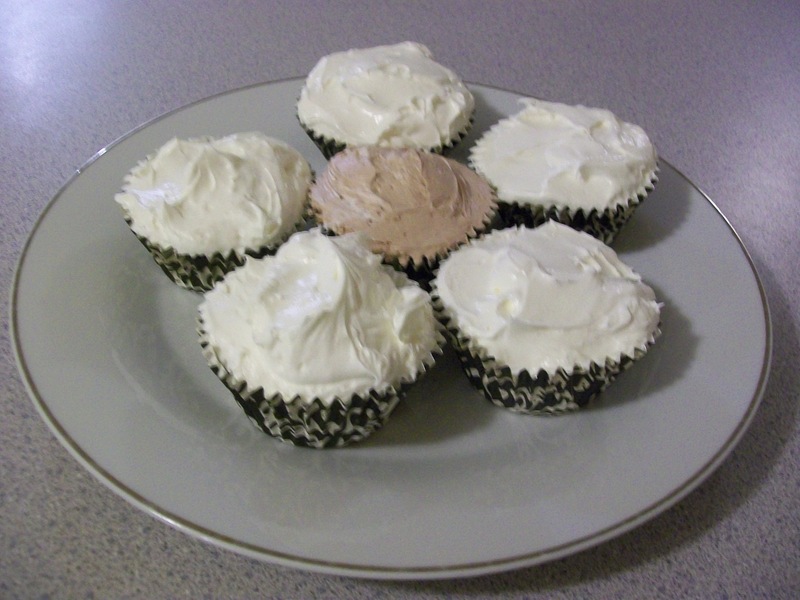 I halved the recipe because I only had one package of cream cheese, and I’m glad I did because we wouldn’t have been able to finish them all if I made twelve cupcake-size ones or a whole cheesecake, so I made six cupcake-size ones, and they’re just the perfect little portions and so will be gone tomorrow. When I got to the part that says to add the Cool Whip to the cream cheese and powdered sugar mixture, I thought all was going to be fine and dandy because I thought my father didn’t take the Cool Whip with him to my aunt’s New Year’s Eve party the night before, because who puts Cool Whip on pecan pie (which I made yesterday with a crust from scratch, but I forgot to take pictures)? But NO, he DID take it, and so I was Cool Whip-less. I somehow got my mother to go to the store for me and get it, but don’t ask me how the heck that happened, because I’m not even too sure why she agreed when I figured this would be something she wouldn’t eat, because of the Cool Whip contents. I’m not going to question it though, because she went, and I was able to finish my cheesecakes. I did have to add some cocoa powder to her’s though, because she doesn’t like plain cheesecake. 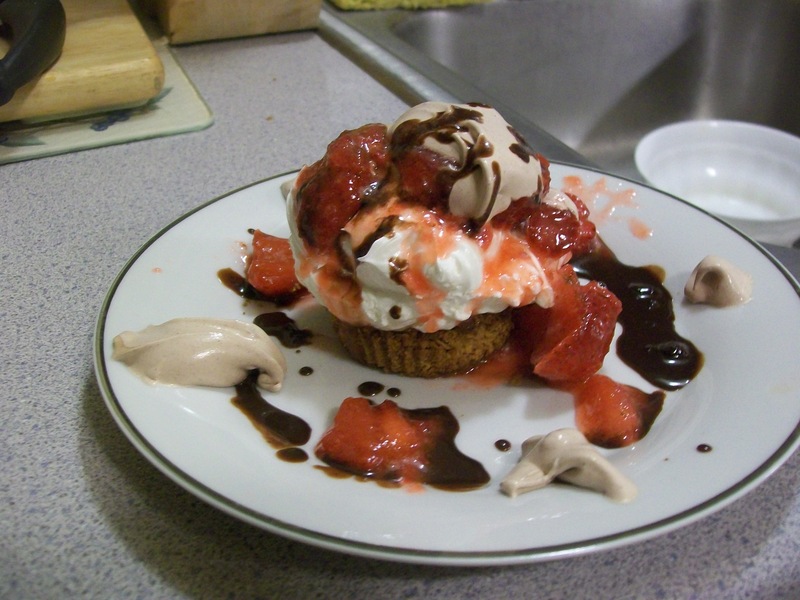 I must say though, the cocoa powder addition made it pretty tasty, and slightly less tart (yes, I ate the remainder out of the little bowl I mixed her’s in). 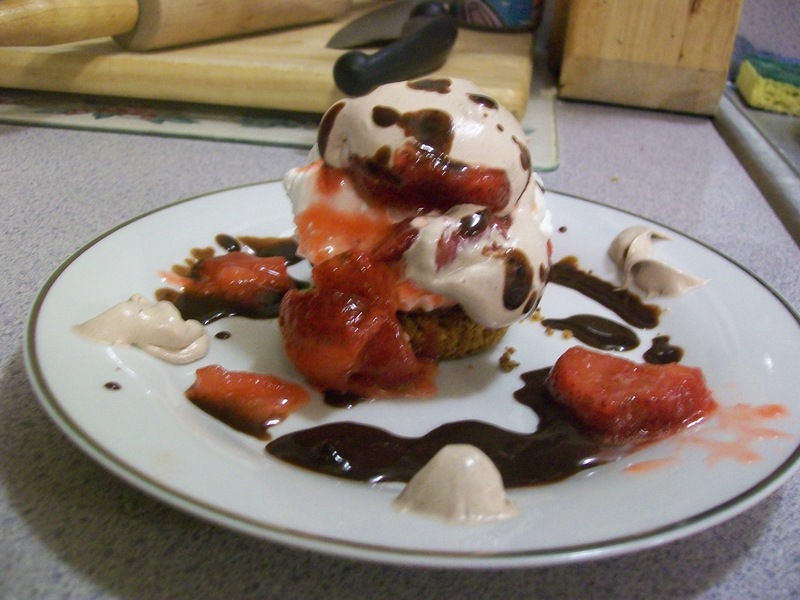 I also made a little chocolate sauce to spoon on top of the cheesecakes, and I even stirred some into a little bit of the remaining Cool Whip for a chocolate-y addition. Yum. 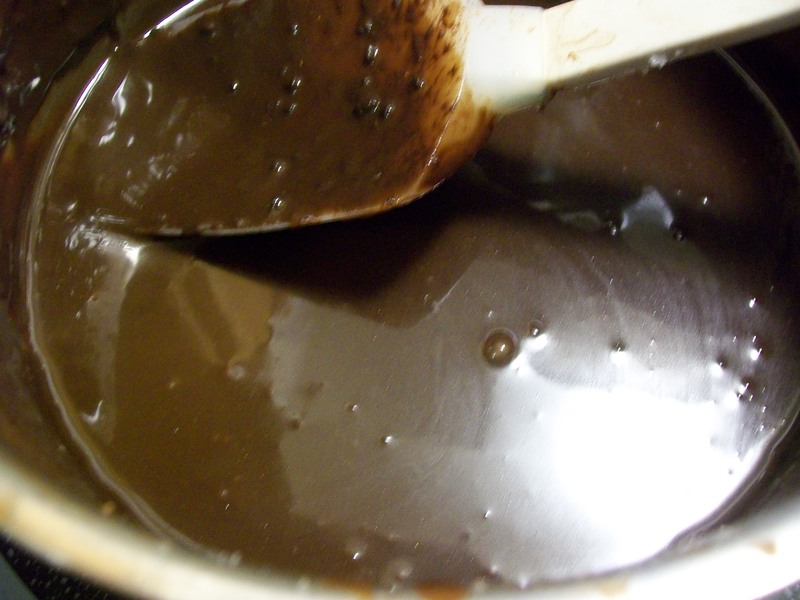 I just wish I had my sifter here so that I could have strained the cocoa powder and chocolate chip chunks out of the sauce so that it would have been velvety smooth. Waiting for these minis to set in the fridge was very painful. All the while when I was playing Wii Bowling with my parents I just wanted to dive in and eat one. But the wait was well worth it. Tada! Yeah, yeah, I know I still need to work on my presentation. Oh well. At least it looked and tasted yummy.